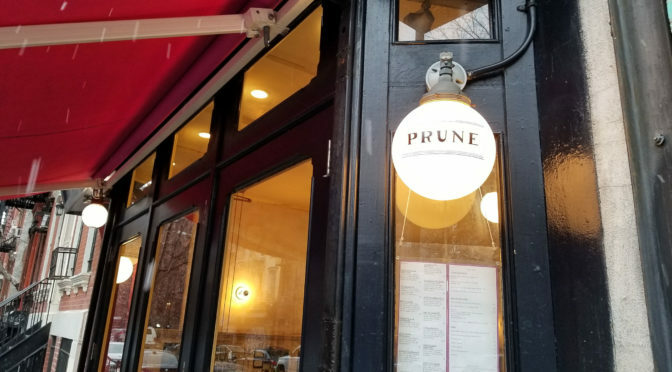 My wife and I went to Prune for brunch. 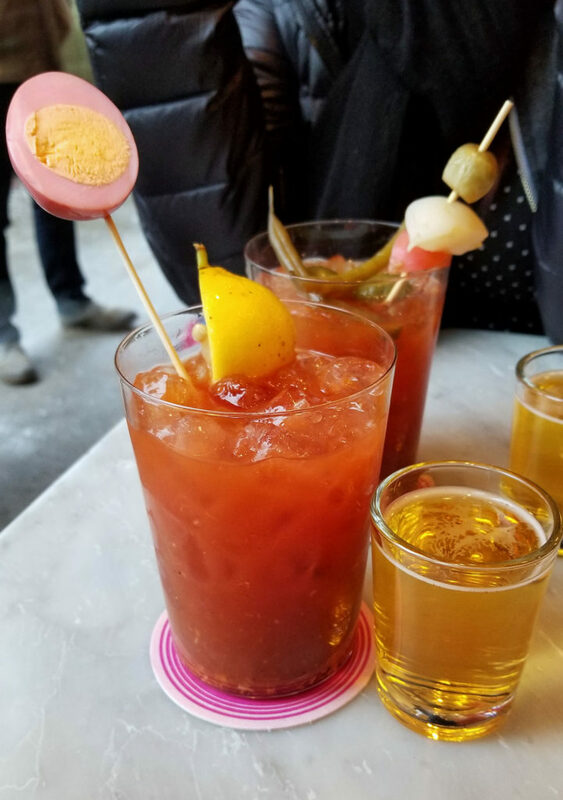 We started off with some nicely crafted Bloody Mary drinks (which come with a Red Stripe beer back). Mine was made with gin and garnished with a pickled egg, and my wife got a vodka based one with some southern spices, caper berries and pickled beans. I actually mixed my beer into the bloody when I was about halfway done, to make what was almost like a michelada. 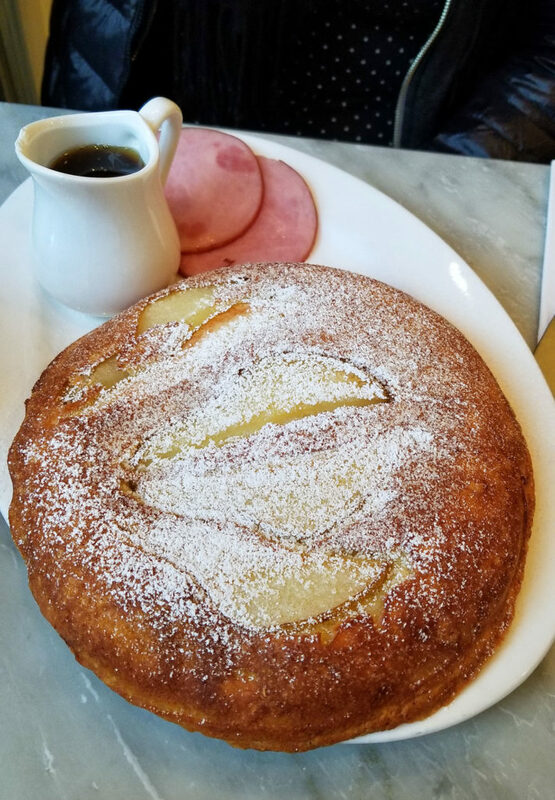 For my entree, I had the famous fried monte cristo sandwich (ham, turkey, and cheese, breaded and deep fried). 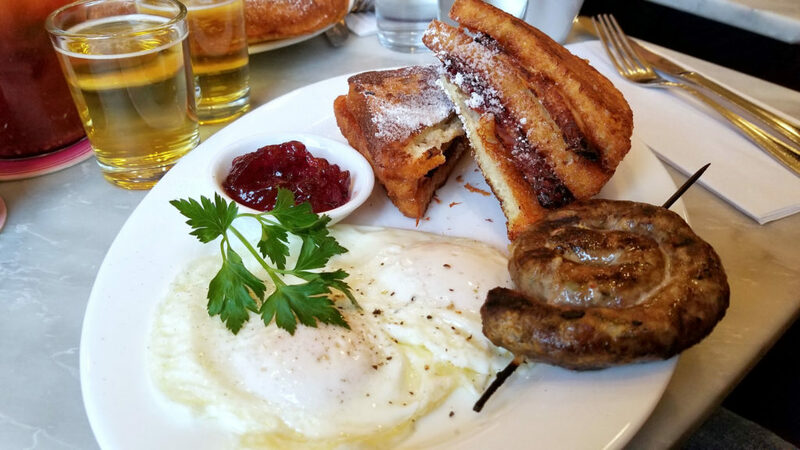 It was amazing – like a French toast sandwich. It came with two eggs and a berry jelly. 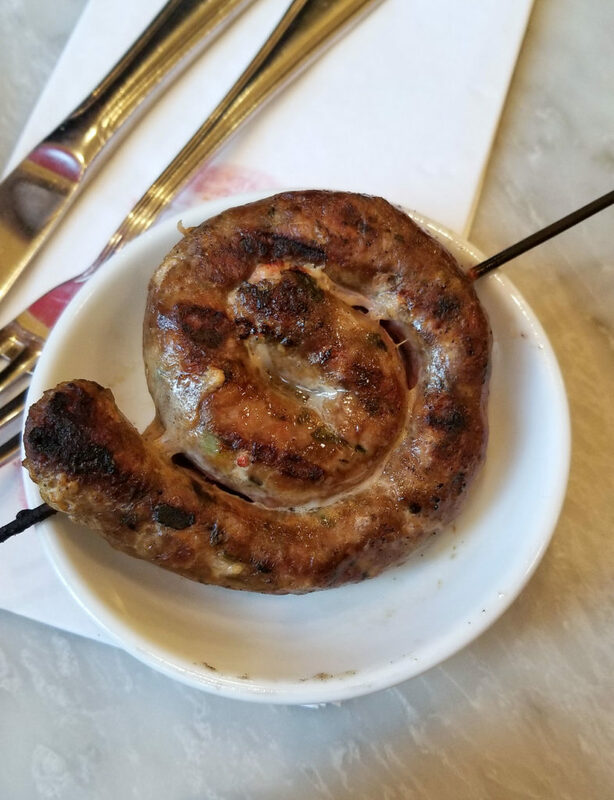 That coil of sausage we ordered as an extra side. Home made lamb sausage to be exact. It was incredible. 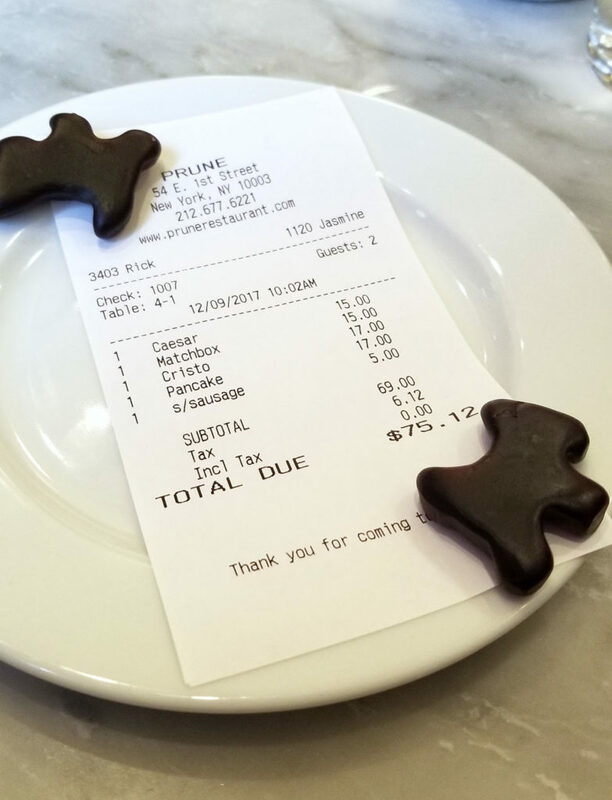 While the bill was a bit steep, we were satisfied and the food was delicious. 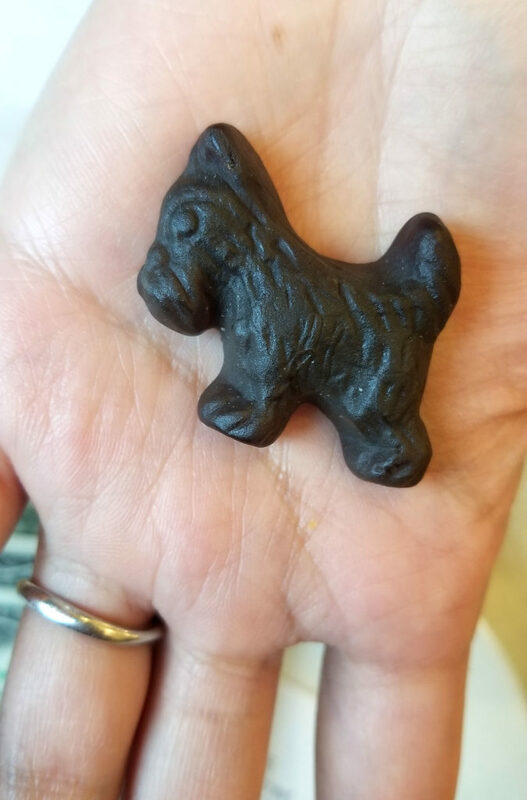 Incase you’re wondering, those are little licorice schnauzers that come with the bill.